Blazing her own musical trail, songstress Grace VanderWaal and her ukulele burst into the music scene with her 2016 debut EP, Perfectly Imperfect. With its comfortable concert-sized body, enticing sound and stage-ready features, including a Fishman Kula preamp system, the Grace VanderWaal Signature Ukulele is the perfect partner for her music. 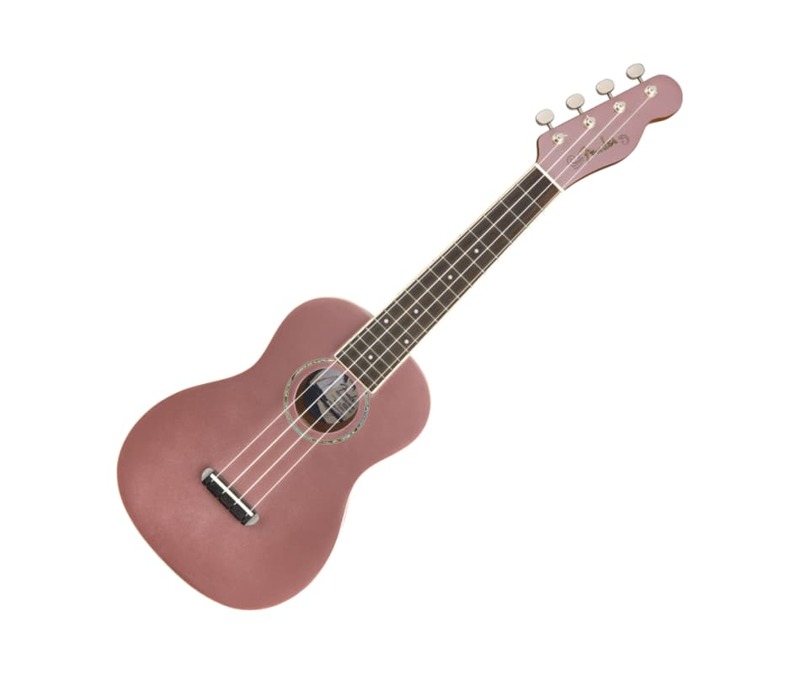 Reflecting Graces Boho Chic style, this ukulele features a luxurious Dark Walnut gloss finish, gold sparkle rosette, gold hardware, custom floral soundhole label and Graces distinctive heart signature adorning the back of the headstock.